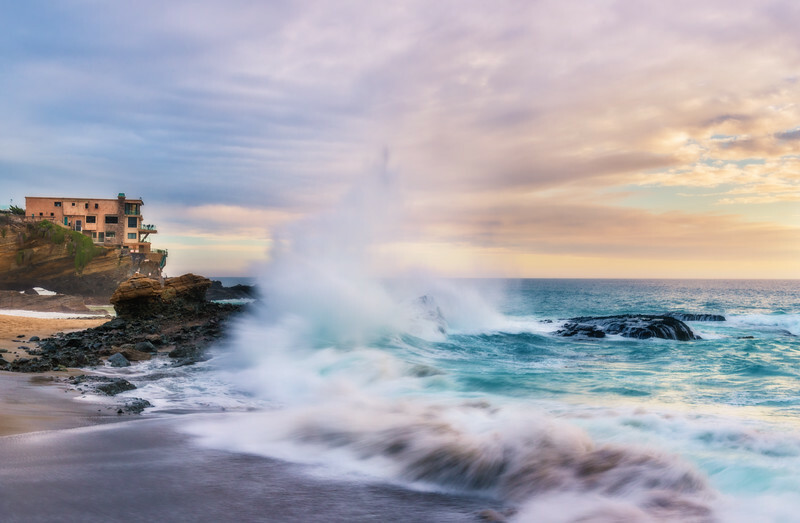 This post features some photos I took at Table Rock Beach in Laguna Beach, California, along with some tips for finding this beach, and my thoughts on it. Table Rock Beach is a pretty popular spot in Laguna Beach, especially among locals for cliff jumping. A lot of people love this beach, but I’ll admit that I’m not a huge fan. I’d put it right in the middle of the pack as far as Laguna Beach goes. That’s still not too shabby, as Laguna Beach has some world class spots, but I don’t think Table Rock Beach lives up to the hype. First, as far as “hidden” beaches go, this one is often fairly crowded. I don’t know if word has gotten out about it or it’s just easier to find, but for a secluded beach that is out of the way from tourists, there seem to be a surprising number of people here. Second, the main beach area is somewhat dull as compared to other gems like some of my favorites, including Victoria Beach and Pearl Street Beach. Granted, there are some cool rock formations that you can climb (and dive from if you so desire–although doing so is illegal), but this is fairly dangerous, especially at high tide. There’s also the cool house that’s right on the edge of a cliff with an arch underneath it, but that’s something neat to see once and be done with (there is a second private cove closer to the house, but it’s very difficult to access). I do wonder what the insurance premiums on that house are like. I mean, that’s an amazing view, but sooner or later, the rock on which that house is built is going to fall into the ocean. The residents clearly have more gumption than me! Speaking of gumption, while I did climb up onto the cliffs for the sake of the photos here, I want to reiterate that this can be a very dangerous proposition unless you’re familiar with the tide. The waves here are incredibly unpredictable, and you may watch for 30 minutes as no water comes up on the cliffs, and then suddenly a huge wave swallows the thing. I got soaked taking the photos here, making for a wet drive home. I cannot even fathom jumping from these cliffs due to said unpredictability and the uncertainly of not knowing what’s under you when you land. Again, I guess that’s for people with much more gumption than me. If you’re wanting to risk it and cliff dive anyway, Table Rock Beach is definitely a good option in Laguna Beach. Otherwise, I don’t think this beach really has any selling points that convince me to recommend it over some of the other nearby beaches that I’d consider superior. 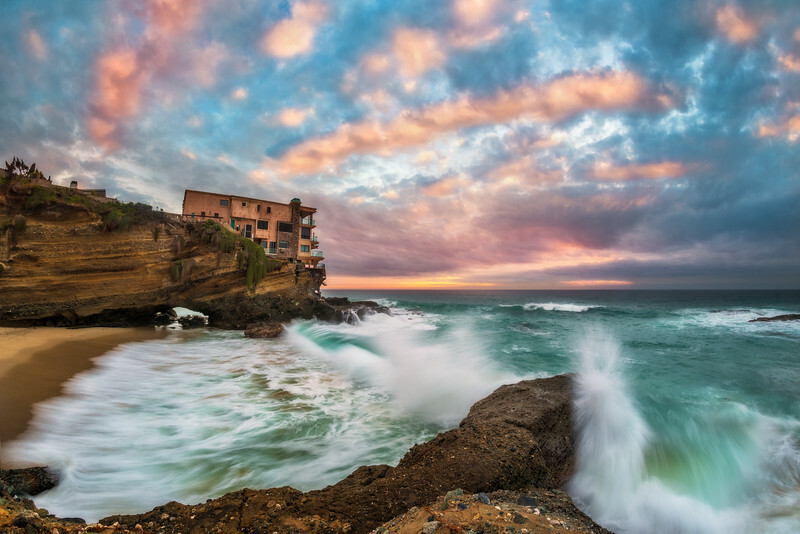 This beach is located off the Pacific Coast Highway in Laguna Beach, California. 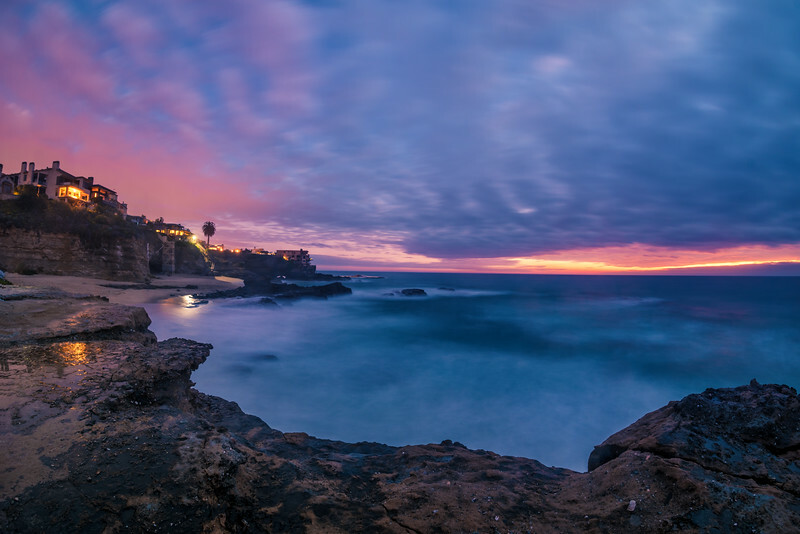 It’s one of the southern beaches in Laguna Beach (the city), which has several stunning beaches. Unfortunately, most visitors to the city never venture beyond the large “Main Beach.” To get to Table Rock Beach, head north on the PCH towards 2nd Ave, and park in the free parking along the right side of the road (in the summer, this might be full, so look for a meter). Then, opposite Each Rock Way, look for Table Rock Dr. You should see something like this. Head a little ways down that road until you see the “private” signs. Just after those is a set of public stairs. Obviously, judging beaches is totally a subjective thing, and “quality” is in the eye of the beholder, but Table Rock Beach just doesn’t do much for me. Your mileage may vary–and certainly will if you like the cliffs here–but it’s just not a beach that I’d highly recommend unless you’re a local looking to explore them all.